Give me one example of industry journalism that isn’t a cesspool and we’ll talk. Music journalism is in the can. Movie journalism is in bed with Marvel and Disney. It’s all about maximizing ad dollars, not mastering dissemination of educated, reasoned, well-written opinion. It’s similar to why I loathe F2P games. The way a business makes money affects how the business operates (and vice versa). If you run on ad revenue, then you either need to rely on your brand being able to sustain itself on its own merits or you need to drop the pretension and start casting a wider, broader, and more generalized net. Smaller fish tend to slip through in that case because you just want that mad click money. The Internet has ushered in the Age of Information with all of its databases, diverse voices, and googling. I think it killed journalism to do it though. Well, game journalism already sucked. 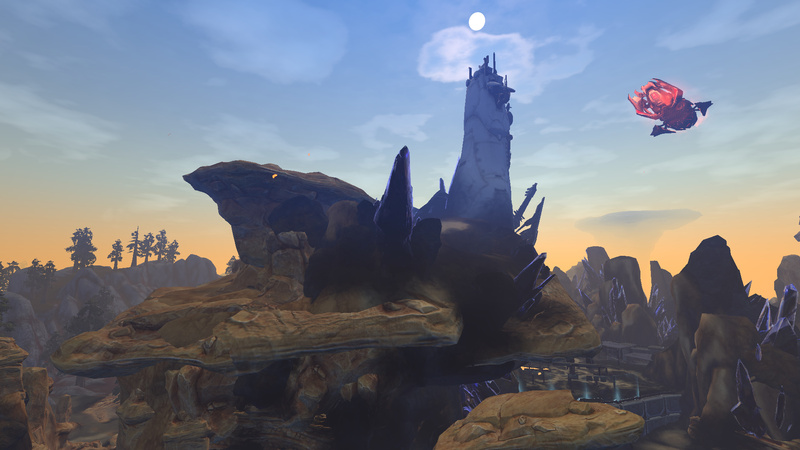 @Murf – I think there have always been slight differences between movie and games press. These days movie studios won’t blacklist publications (as far as I know of) just because they gave a bad review of their latest yearly phone-in Michael Bay movie, but game studios are notorious for holding back review copies from outlets that don’t write glowing reviews. Part of this might be due to the way movies are released as compared to games, with “First day buy” of games being the norm where most people might wait at least a few days to check out a movie, but the idea is the same. It gave me the impression that the film industry can handle criticism and bad press. I mean, movies will get TERRIBLE reviews but still be wildly successful. Whereas Games are often considered “terrible” by players and publishers if they don’t beat an 80 metascore. 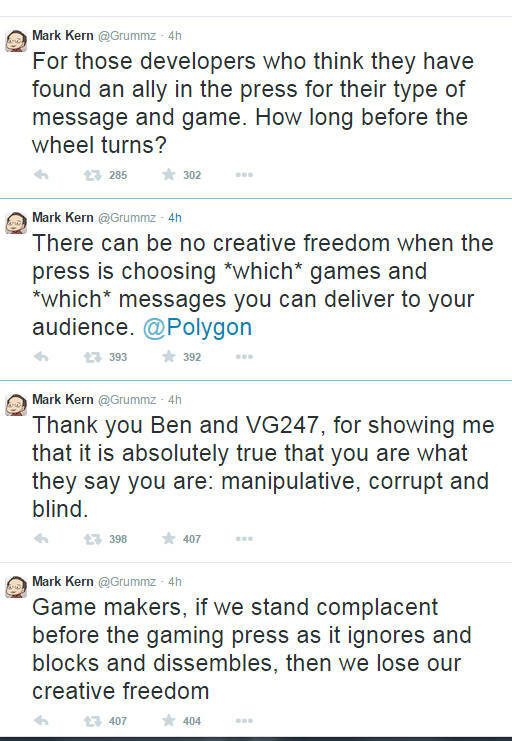 Plus we often end up with diva devs like Mark Kern (posted tweets) or Brad Wardell that hold grudges. I mean Mark Kern drove Firefall head first into the ground, his credibility is already gone. that’s an interesting point about consumer habits and yeh, you do tend to go see movies later. I think with how games have become far more of an online experience spurns this on as well, you have to wait for a weekend, or friends to be ready to see a movie. For a game just key in your credit card. Oh my god, Mark Kern. I just… don’t even know. I think he’s gone off the deep end. And as Clockwork suggests despite his credentials, while vaunted, his recent endeavours have shown him to be tone deaf at best to modern gaming. It’s like he’s still living in the 90s, and wants the world to be that way too. Sorry folks, but 90s gaming journalism was Nintendo Power-esque at best: controlled by the gaming industry itself and little more than mouthpieces for major studios. Let’s not repeat that era, thanks. As an indie dev AND as a consumer, I can get my press releases directly from the source. If I’m reading an article, I want their opinion on it. oh yes, and there are so many more brilliantly terrible, in the worst possible ways, tweets. That letmarkspeak stuff… GOLD!! I for one am glad that phase ended as well… those companies owned the gaming magazines back then… literally for some and having them separated at least by a few degrees enables better consumer purchasing… not by much for some sites though. I really do think this patreon stuff could be the future of the media in a way. It’s amazing, we yearn for cheaper and cheaper games but will avidly support the publications and personalities we enjoy and respect.